Where'd all the gold iPhones go? Apple is a master at making changes with one hand while the other holds up its latest and greatest devices. That's exactly what happened today during the company's iPhone 6S and iPhone 6S Plus launch: in came the new phones, out went the gold color option for older devices on Apple's online store. A trip to the US, UK and Australia Apple websites iPhone comparison pages shows the iPhone 6, iPhone 6 Plus and iPhone 5S are only available in silver and space gray. 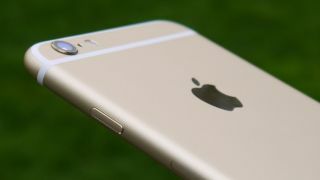 The new 6S and 6S Plus, meanwhile, are bedazzled in gold as well as all-new rose gold alongside the more muted shades. Apple confirmed it's discontinued the gold option for older iPhones to The Verge, though carriers and retailers may still carry the gilded hue.